Some days I just feel like there’s too much going on and that I won’t possibly be able to do it all. It’s easy to feel overwhelmed as a mom. 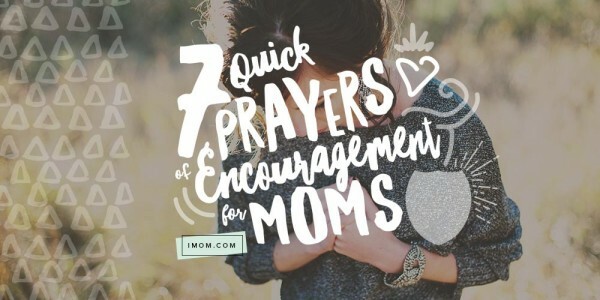 Sometimes, as moms, you need a prayer for feeling overwhelmed. These prayers have really helped me. 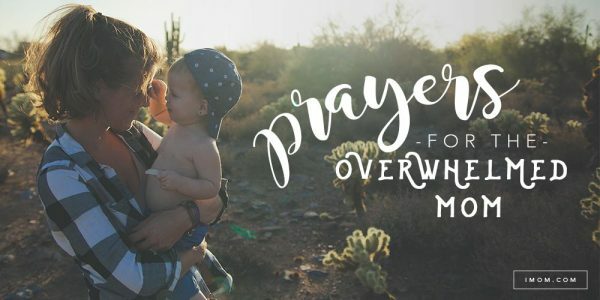 Here are 5 prayers for the overwhelmed mom. Being a mom can be physically and emotionally exhausting. Just when you think you can’t take another minute, something else comes along that requires your energy and effort. But the good news – the truth – is that you can find rest in the Lord. Heavenly Father, I come to you today, humble and exhausted, and ask that you carry my burdens. I pray that you lift my weary spirit and fill me with your love and peace so that I may be restored and renewed in body and mind. Lord, pour your heavenly nourishment into my soul and give me the energy to sustain me in my role as a mother. Lord, I trust in you and lean on you. I thank you for your mercy and provision for me and my family. I come to you again and ask that your will be done in this situation we are currently facing. Guard my heart and my mind and keep me focused on your will. Lord, please send your Holy Spirit to breathe your peace into my soul and walk with me on this journey. Dear Lord, I know you have a plan for my child and I thank you and praise you for allowing me the gift of being his/her mother. I am frustrated because I want to see the fruits of my labor, Lord. Please give me the patience to continue being obedient to your word in raising my child. Teach me to wait in hope and confidence for you to make your will known – in your time. Lord, please give me the wisdom to make decisions according to your will. Send me your vision in this situation – and make it plain that I will see it. And please show me how to teach my child to make wise decisions so that he/she may also choose the path that is pleasing to you. Lord, please fill me with your grace so that I may be restored and renewed in my role as a mother. Help me to remember that I do not have to do this alone – that you are with me to strengthen and guide me. Here are 10 more prayers for you! Which prayer do you need today?